Lord Ganesh is worshipped as Vigneswara (Vighna means a sudden obstacle in Sanskrit). Of all the Ashtavinayak Temples this is the most spacious one; rich in hindu temple architectural work. The present temple dates back to 1785 AD. It received a major renovation work in 1967. The legend goes like this. The king of Hemavati, Sree Abhinandan, once performed a great sacrifice. Lord Indra- the chief of the Devas- thought this sacrifice, if completed, would deprive him the post of Devendra. So he ordered a demon called Kala (time) to create obstacles to this sacrifice to prevent its successful completion. Kala did the same; but soon started over doing things. He started threatening the Vedic rites and rituals. Soon he came to be known as Vighnasur-the demon who creates obstacles. So the heavenly Gods approached Lord Ganesh for help. Lord Ganesh came to the earth as the son of sage Parshwa and his wife Deepavatsala. In the battle that followed, Lord Ganesh defeated the demon. To save his life Vighnasur pleaded for mercy. Lord Ganesh was kind enough to forgive. But put a condition that the demon Vighnasur should not go to the place where Lord Ganesh is being worshipped. The demon agreed; in return, requested to Lord Ganesh that his name be taken before Lord Ganesh�s name. This explains why Lord Ganesh is invoked before any function and how Lord Ganesh became Vighneswara. 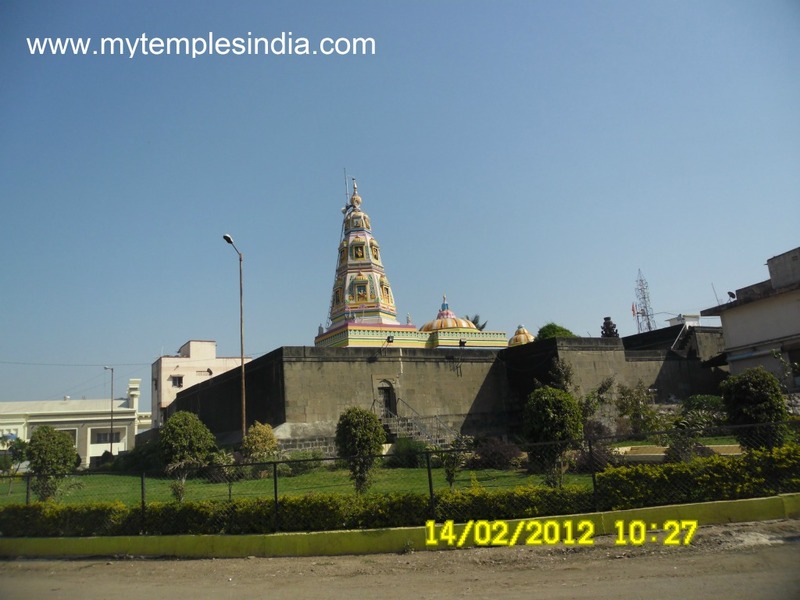 The Ashtavinayak Hindu temple is about eighty kilometers from Pune.